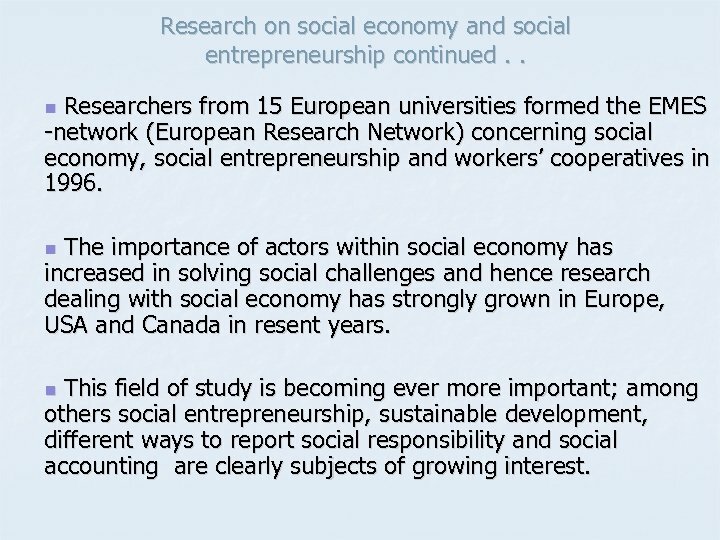 Research on social economy and social entrepreneurship n n The concept of social economy comes from the 19 th century even though precursors of cooperatives and organisations with solidarity existed already in ancient Egypt. 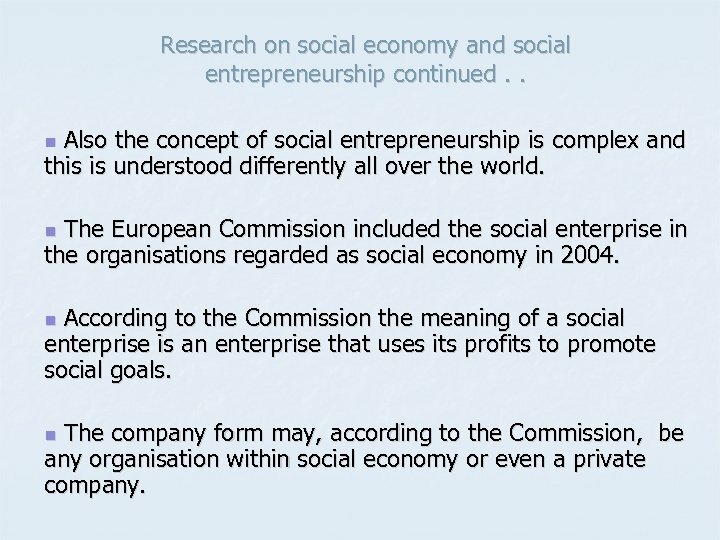 Social economy as a term is not unproblematic and there is no definite definition in different countries. 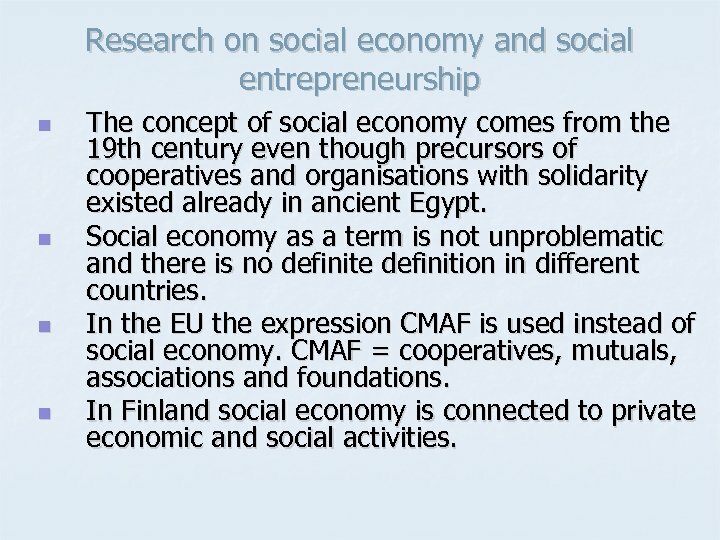 In the EU the expression CMAF is used instead of social economy. 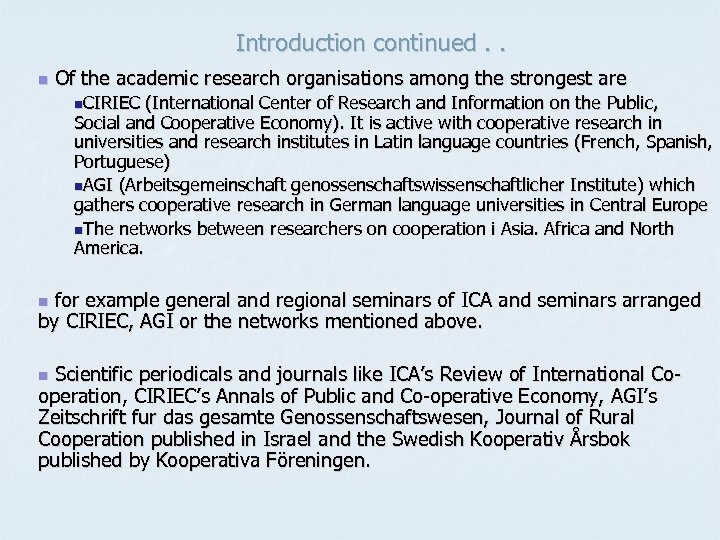 CMAF = cooperatives, mutuals, associations and foundations. 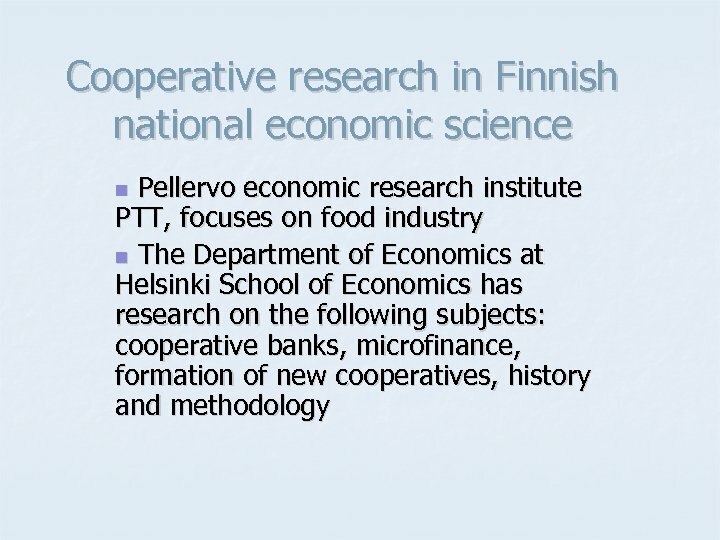 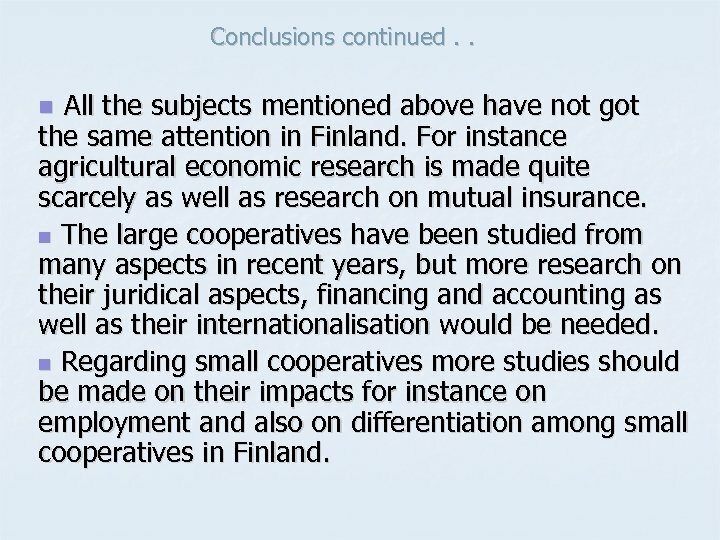 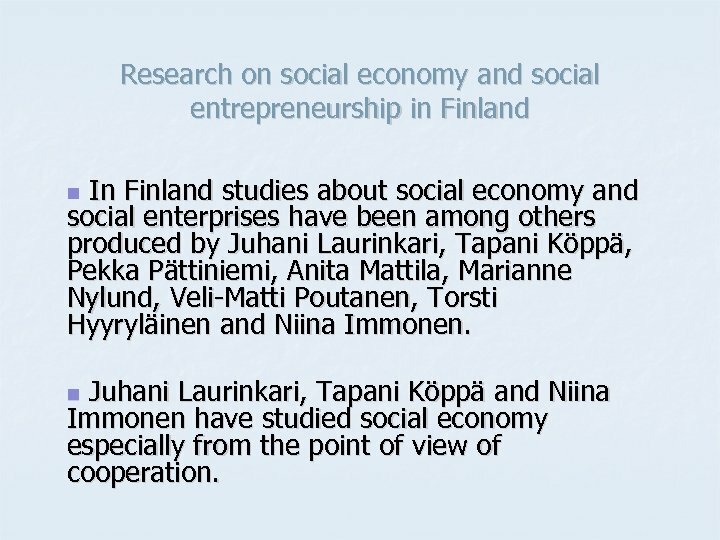 In Finland social economy is connected to private economic and social activities. 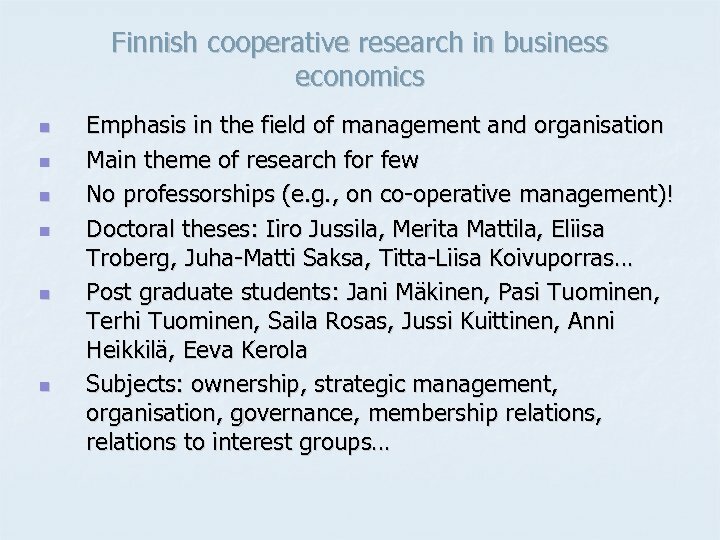 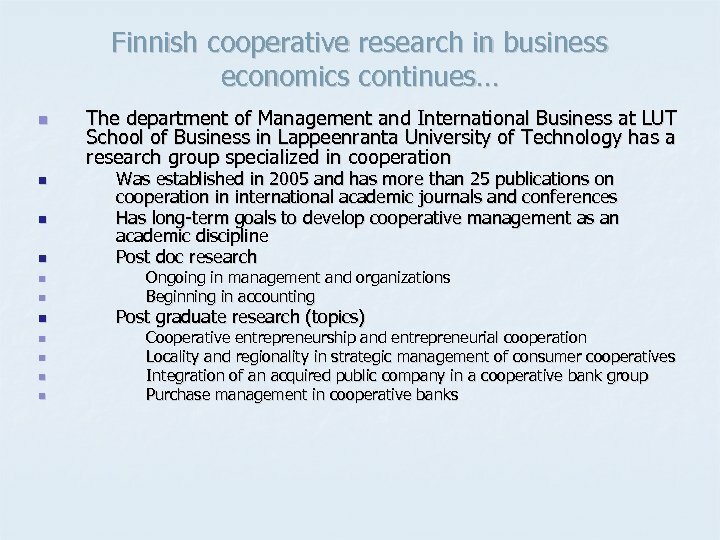 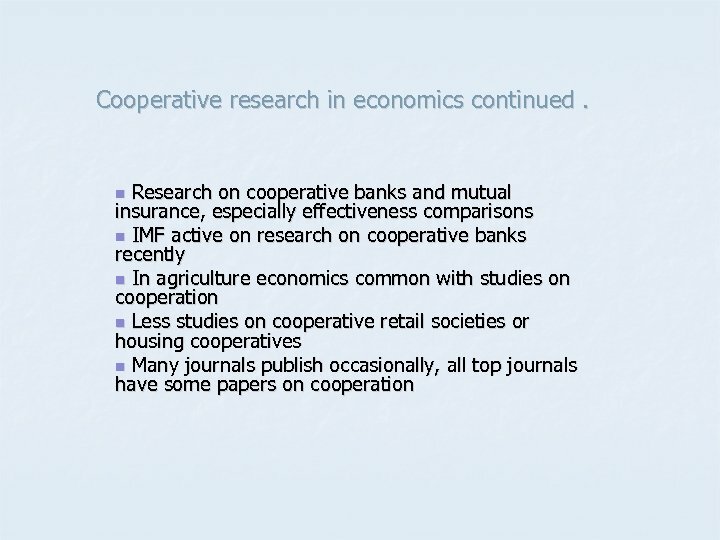 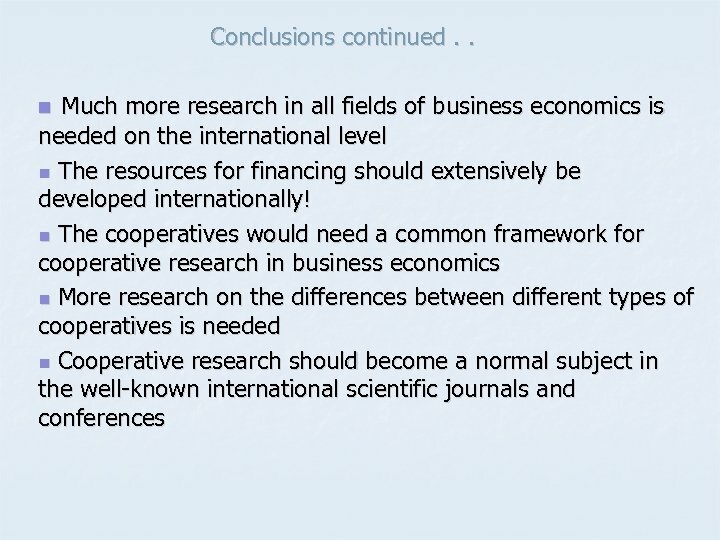 Research on cooperative joint enterprises and new implementations Cooperative entrepreneurship, workers’ cooperation and new implementations of cooperation have been studied for several years within several disciplines, among others: economics, governance within business economics and especially sociology within social sciences. 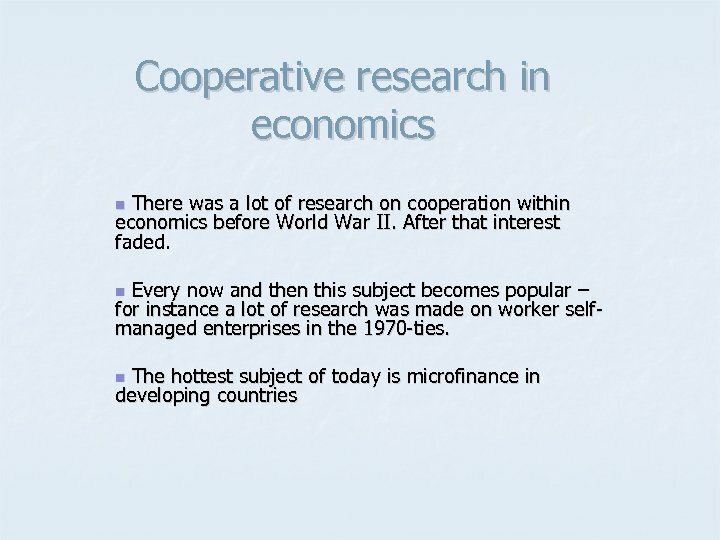 n Studies on workers’ cooperation have had strong emphasis on employee ownership and the impact of employee participation in organizational decision making. 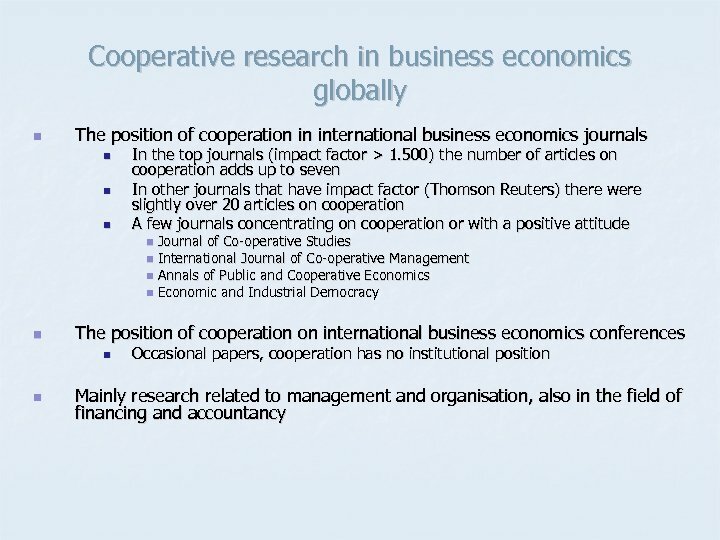 n n Employee ownership and its impacts is still in in the 21 st century a central subject for studies within social sciences and studies on governance and organisation in business economics.